About a month ago a few friends and I made our way to the Jonathan Edwards Wine Festival, which was of course at Jonathan Edwards Winery. 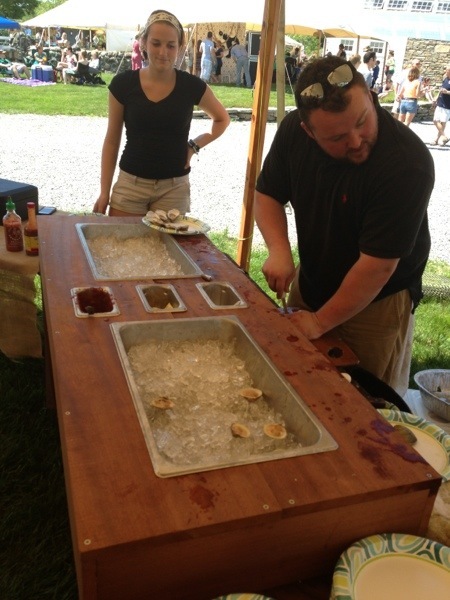 The wine festival was so much fun!! For $20 you get a glass and a tasting ticket which was good for a variety of different wines. At the festival there was live music, a wine-themed arts and crafts fair, and tons of great food. 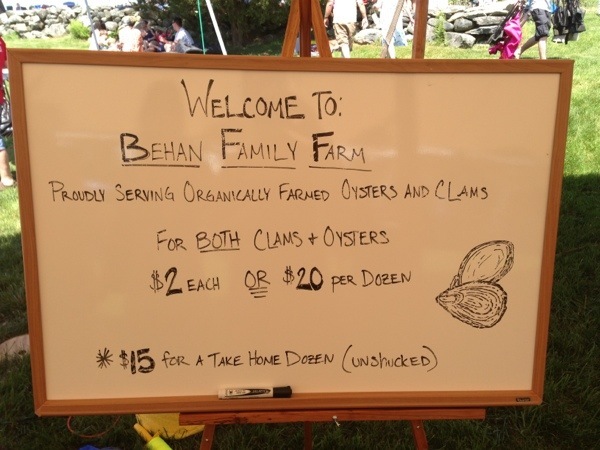 We walked around for a while, saw the sights, got delicious caprese sandwiches from the food truck, had lots of wine, and finished off our day with some fresh oysters from the Behan Family Farm. Though it was a HOT HOT day, it was lovely inside the tent. The live music was fantastic and we had a wonderful time relaxing! Cost For Tasting: I’m not sure how expensive the tasting is, but the Wine Festival was $20, which included live music, and the tasting. food was extra, but it was delicious, and I found it quite worth it. Ranking: 8 – I feel like I’d really have to go back for just a tasting to get a feel for the vineyard in a more laid back setting. 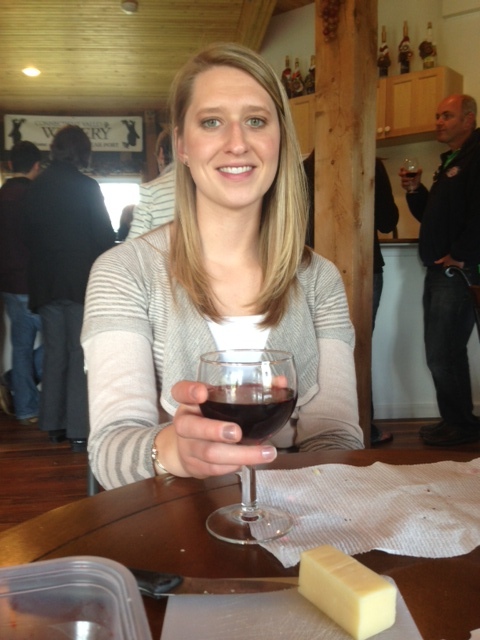 The festival was awesome, and I enjoyed the wine but I wasn’t able to get a feed for the inside of the winery. I’d definitely like to go back again! 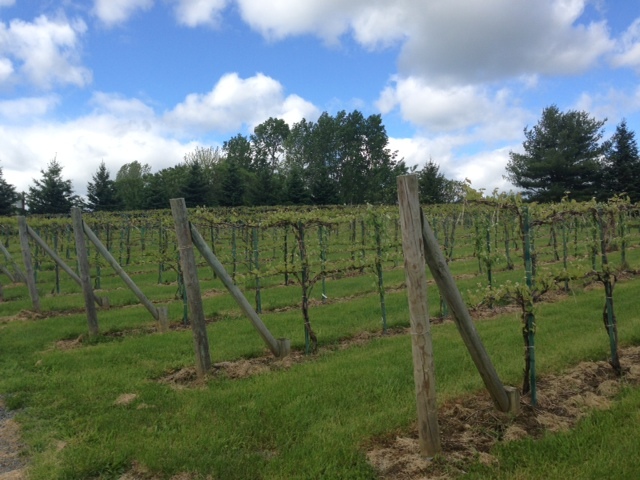 The Connecticut Valley Winery was the third stop on our 3 stop wine tour a few weeks ago. The tasting station was pretty busy, and we had already done a couple earlier in the day, so we decided to just get a bottle of wine and enjoy it with our snacks. Cost For Tasting: $8, however we just purchased a bottle for about $14. 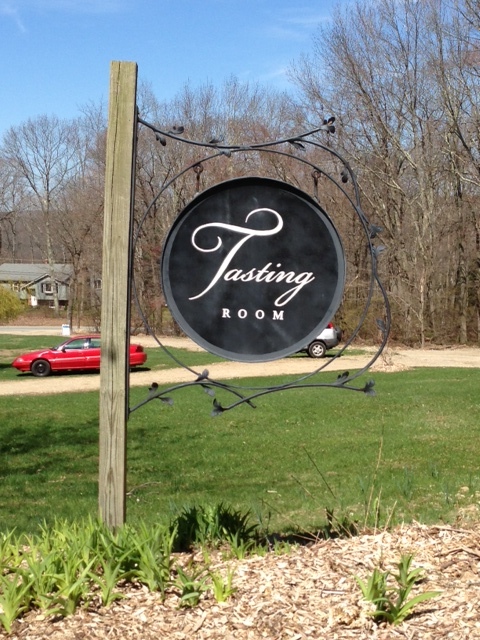 Tastings are offered on Saturday and Sunday from 12–5 pm. 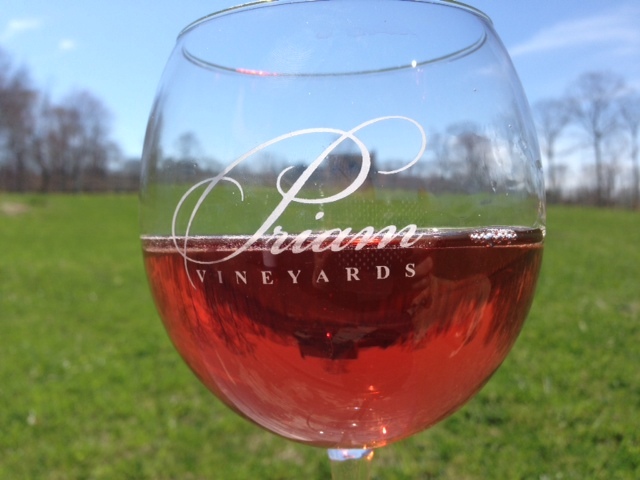 During Wine Trail Season (May–November), tastings are offered Thursday–Sunday from 12–5 pm. We chose one of their red wines: Black Tie Cabernet Francm which as stated on their website, is “an elegant and sophisticated red table wine, robust with a dry, silky finish”. 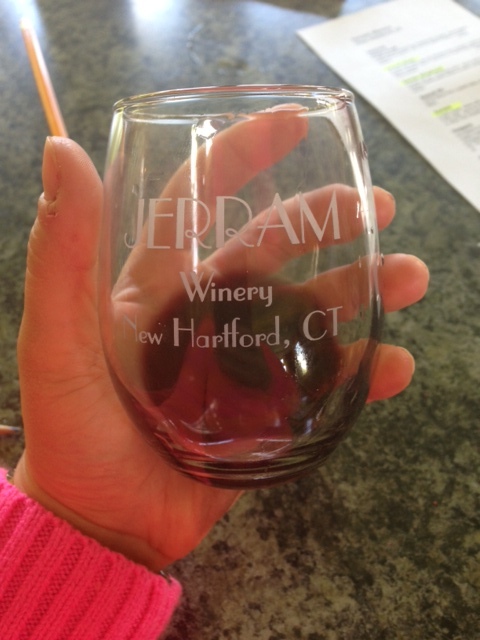 On the same day that we went to Arrigoni Winery, my sister and I made our way over to Jerram Winery. 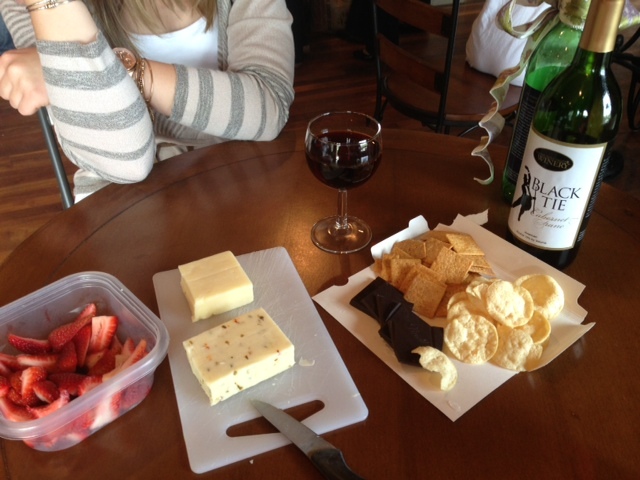 Cost For Tasting: $6, which includes 6 different samples, along with your choice of a stemmed or stemless wine glass. I chose the stemless because this is actually the first winery in CT I’ve been to where they offer stemless! Ranking: 7 – good wine, but very little seating, and strange smell. The setting of this winery was much better than our first stop! At least you couldn’t see the road from the tasting room! I thought the wine here was pretty good, and the gentleman doing the tasting, Jim Jerram, seemed like he really knew what he was talking about. 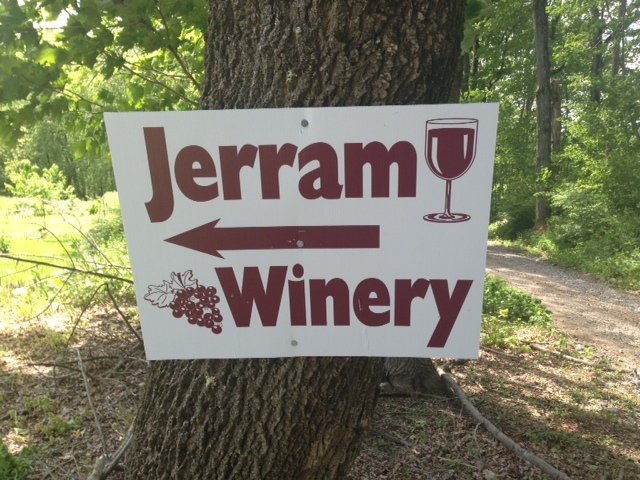 Jerram Winery was only established about 15 years ago in 1998, but even at that they grow several varieties of grapes including Marechal Foch, Seyval Blanc and Vignoles. Personally, I thought it was pretty cool that you could choose between a stemmed wine glass or a more trendy/modern stemless. Though the wineglasses are very small, they are still really nice. The one thing I found kind of funny/entertaining about this vineyard was that the bathroom in the tasting room was a FULL bathroom, including a shower. That’s something I have not encountered at another vineyard thus far. 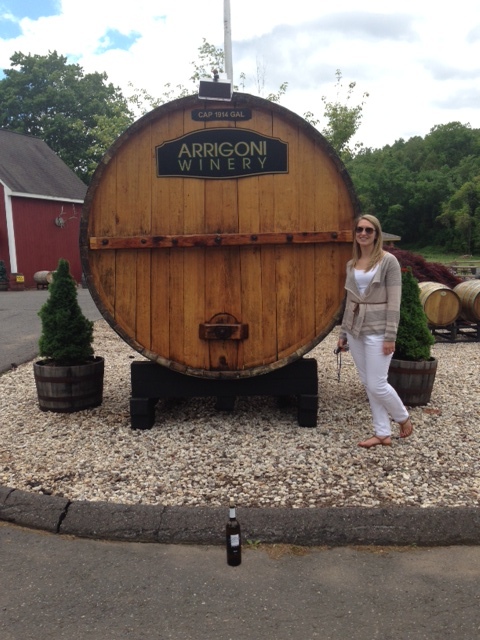 My sister got a groupon for Arrigoni Winery in Portland, CT and asked me to go along with her to check it out. Now there’s two things I’m not going to turn down: Wine and Free Stuff, so I guess you can say this was the perfect storm for me…or so I thought. Cost For Tasting: I think my sister paid $10 for the groupon, but a regular tasting is $7, which includes 5 wines. You can add on additional wines for $1 each. Ranking: 2. This was definitely my least favorite by far. So you arrive, and its totally cheesy outside the winery including a bigger than life Santa Clause that stands outside all year round…hmm ok. Then you walk into the winery, but are a bit confused because you basically are in a gift shop and the tasting bar is tucked in the back, not even visible from the front door. On top of that, the location of the winery is less than ideal. Its right on the road of Route 66, which is a very busy road. 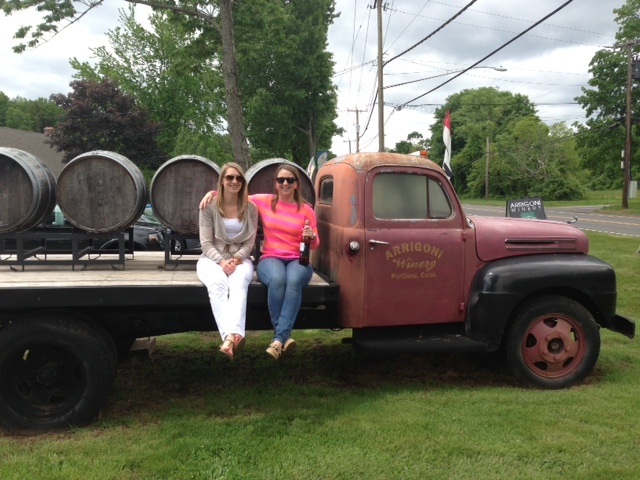 Usually you go to a winery for some relaxation and the peace…if that’s what you’re looking for, don’t go to Arrigoni. OK, so we’ve covered the atmosphere…on to the wine. I suppose if the wine was good we’d be able to forget the atmosphere (after a glass or two). 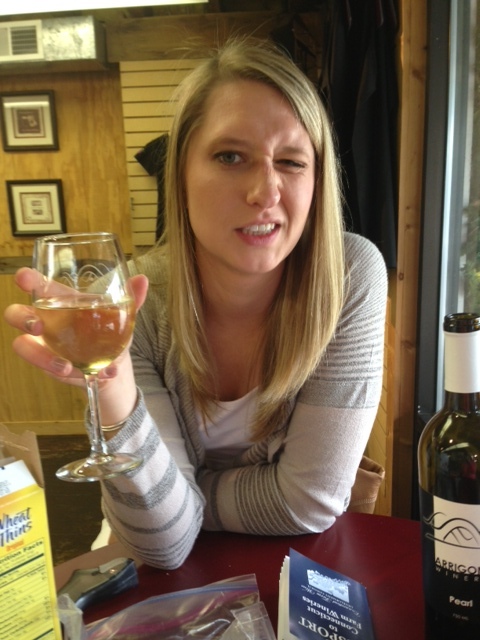 But unfortunately the wine was also no bueno. 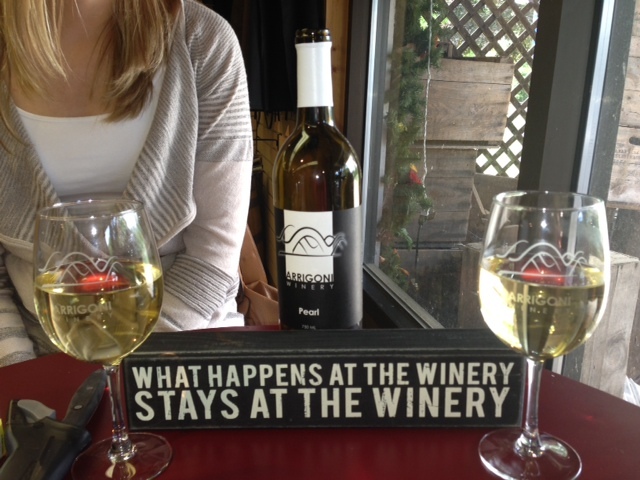 My sister decided it would be best if we made our way to another winery in the area…the only problem was that there are no other wineries in the area! So, we made an hour trek to New Hartford where we did find a few others. The thing I found most off-putting about Arrigoni is that they don’t have any wine that they make from their own grapes. None. Not even one. Ok, I get it, we don’t live in Napa Valley, and I know that most wineries in Connecticut only make a select few wines from their own grapes, whereas most others are made from grapes (or other fruit) that is imported. But come on, if you’re a winery on the CT wine trail, you should have at least one wine to offer that is made from your own home-grown grapes! Am I right? In their defense, apparently they are so new that their grapes are just not ready yet. That’s fine, but maybe you consider that and stay off “the trail” until you’re ready! I also forced Kate to get in this picture. She refused to hold the wine bottle as well, but I put it in front of the barrel. 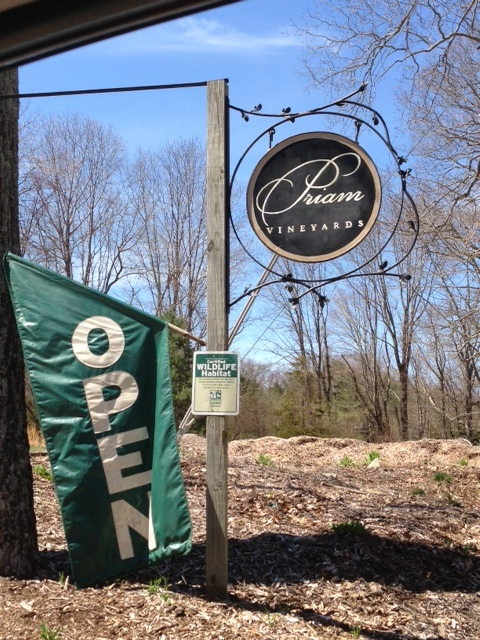 Along on our voyage, Taz and I stopped at Priam Vineyards, which is part of the CT Wine Trail, thus, part of my Bucket List for 2013. Since it was very close to the hikes I was doing that day, I decided I may as well knock that out at the same time. We needed a break between hikes, we were due for a snack, and we were parched! I really like this vineyard because it’s really dog friendly. Taz, of course, did not come inside while I did the tasting, but that only took about 5 – 10 minutes, so I left him in the car to relax (and by relax I mean I let him freak out, thinking that I have left him for life) for a minute. A young guy guided me through the tasting. 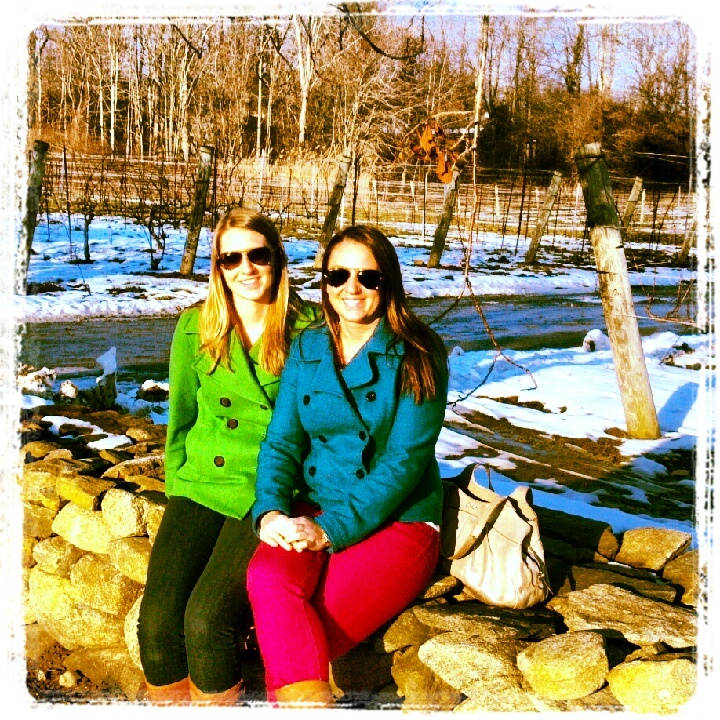 I have actually been to this vineyard before with my sister and bestie. Funny story: it was at this vineyard that my sister told me and Liz that she “doesn’t even like wine”…oh how times have changed since then. 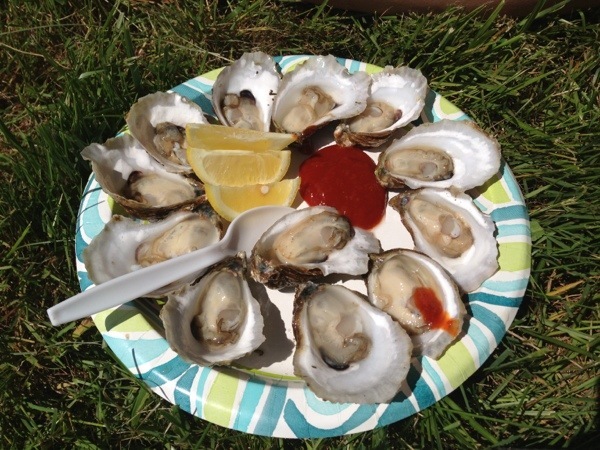 Cost For Tasting: $7 – $14. For $7 you get a smaller glass and less variety of wine, for $14 you get a larger glass as well as a bigger variety of wines to taste. (It’s worth it for the larger glass – the small glass is kind of dinky and isn’t what you’d want to drink wine out of at home. The larger one is really pretty and has a nice shape). Ranking: $10!! 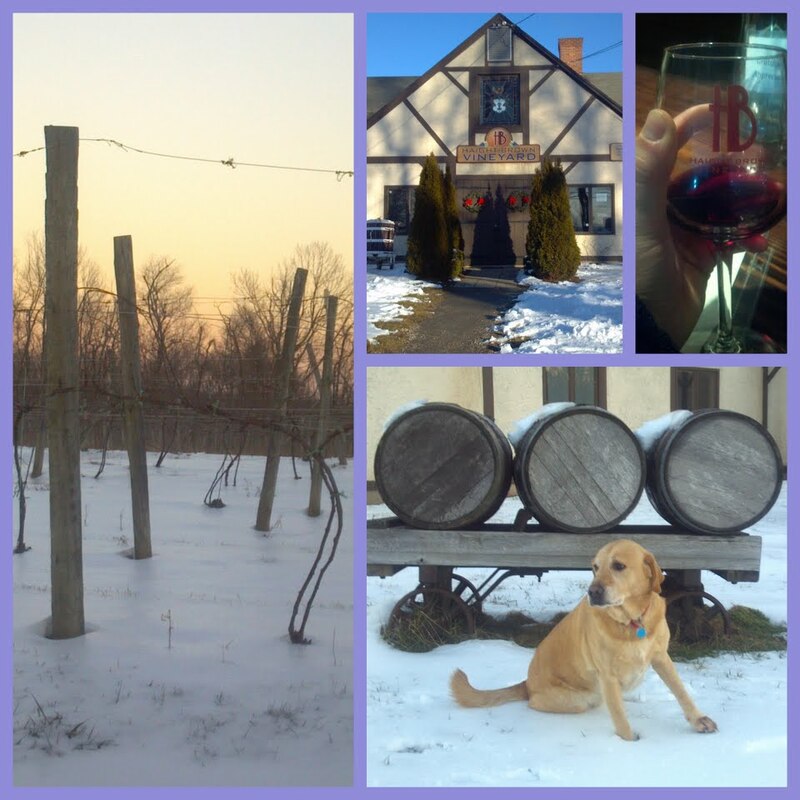 The staff is SUPER NICE and friendly, and the vineyard itself is dog friendly! Awesome! How the tasting works at Priam is that there are 2 “levels” of tasting. (apparently there are actually 3 levels, per the website, but I was only offered two, so that’s all I’m going to talk about). So Level one included a smaller glass and only a couple wines for $7, and level two included a larger wine glass and more of a selection. I did level 2, but only because I did level two before, and this wine glass is my favorite, so I reallllyyyy wanted another one. My favorite was the Blackledge Rose’. I ended up buying a bottle, and I was happy about this particular purchase because this certain wine donates 15% of all proceeds to the Backus Hospital Breast Cancer Survivors Fund. It also won the Bronze Medal at the 2013 International Easter Wine Competition! Yumm! I liked all the wine. I feel like I’m actually learning things from going to these vineyards because I actually could pull out the flavors in the wine’s description many times before actually reading it. How pretentious is that? Anyways. I was going to get a glass and go sit outside with Taz and have our snack, but I got talked into a bottle because a glass was $10 and a bottle was $17…so for only $7 more I got 3 more glasses. Don’t worry, I only drank one glass there, but I’m sure the rest will not go to waste! 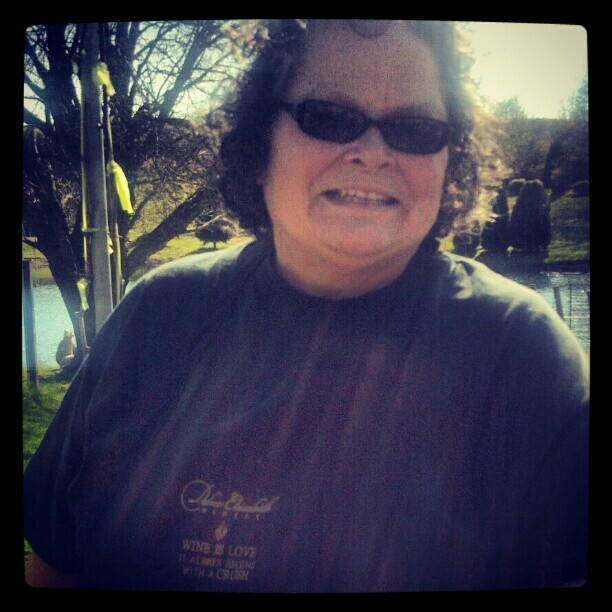 We sat for a little bit, then walked around the grounds and took some pictures, since it was a beautiful day! 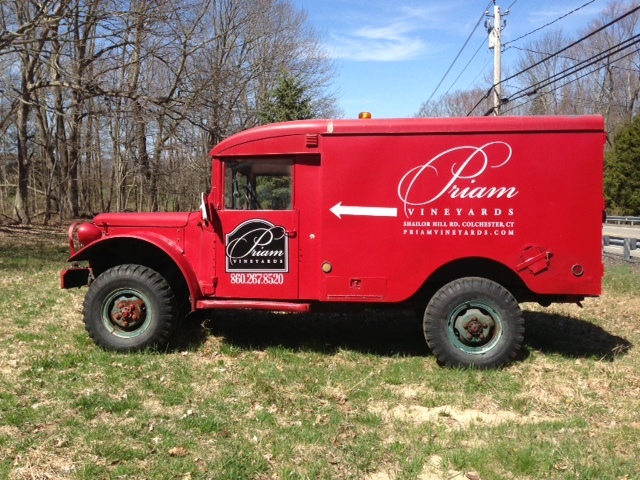 This truck is on the corner of the street you have to turn onto to get to the vineyard – You can’t miss it! 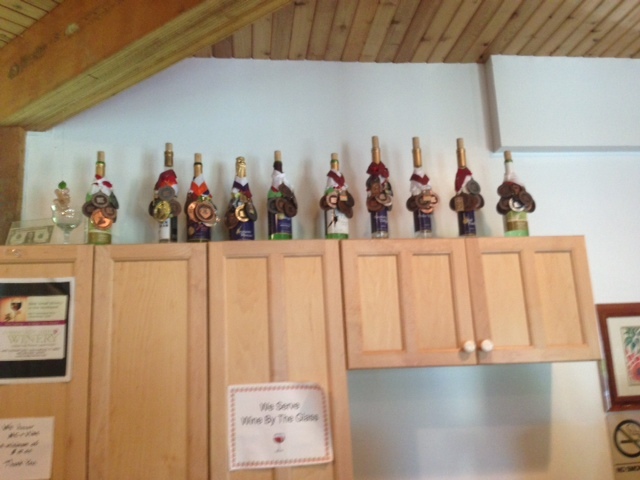 Inside the tasting room – all the wines and awards! A view from the picnic table I was sitting at up on the hill of the back of the vineyard’s tasting room and patio. 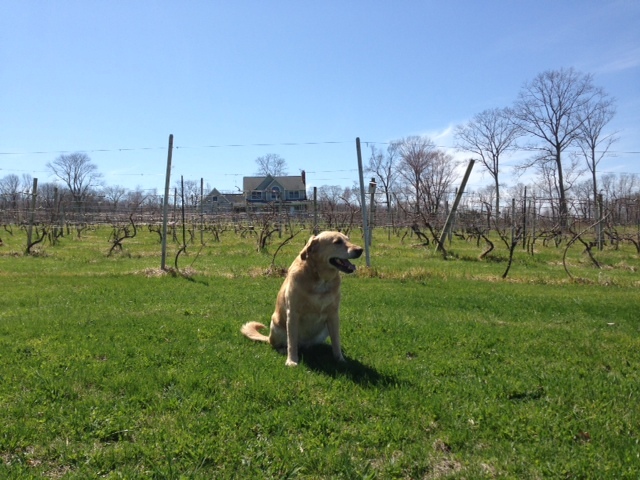 Taz in front of the vineyard – not too many grapes yet…hopefully the weather will warm up soon!! This weekend has been absolutely GORGEOUS! This is unusual for me to say in the middle of January, since it’s cold and I’m a huge wimp when it comes to anything under 50 degrees, but I was definitely able to see the bright side this weekend as I did lots of walks, hikes, and wine tastes! Yesterday was an all-out adventure day for me and Taz and we had a fabulous time! We decided to knock of some Bucket List tasks, and I thought I could use some alone time. With the holidays, traveling and working a ton I don’t get too much of it. Trust me, I’m not complaining in the least – I LOVE being around people, but sometimes it’s nice to have a day for yourself! We started out at Mount Tom, in New Preston, CT. This is, obviously, one of the hikes in my “50 Hikes in Connecticut” book, and I haven’t been there yet mainly because it’s about an hour and a half from where I live. I got there, and was shocked that I was the only one there (come on people! get off your couch and enjoy the wilderness!)! The trails were covered in snow and there wasn’t great markings on the trees, so after taking one trail to a dead ends, I decided to roll the dice and follow the path that had footsteps on it in the snow, hoping that it would lead to the famous tower at the top of the mountain. Though this hike was very short (just over a mile long) I thought it was great because of the 35 ft tower at the top that is open for people to climb and see amazing views of Connecticut, Massachusetts, and New York! As can you can (kind of ) see from my picture below, the wooden steps inside the tower are narrow and extremely steep. Taz, who was not on a leash hung out at the bottom while I climbed to the top to snap a few pics, but got impatient quickly and climbed his way to the top as well…big mistake. Once he got to the top, he was terrified to try to go back down, and I can’t really say I blame him. I’m afraid of heights and wasn’t crazy about the idea myself. The top 4 steps are exposed and in addition to being very steep, they were also covered with about an inch of packed down snow and ice. After about 15 minutes of a pep talk, he finally agreed to carefully make his way down the steps. He was very brave. In addition to the actual hike, there is also a pond on the premise, Mt Tom Pond, where there was an ice fishing derby going on! I’m not an avid ice fisher or anything, but I have been ice fishing a couple times with my bestie Stef and her crew in VT and I got excited seeing this derby because I know just how fun ice fishing can be! 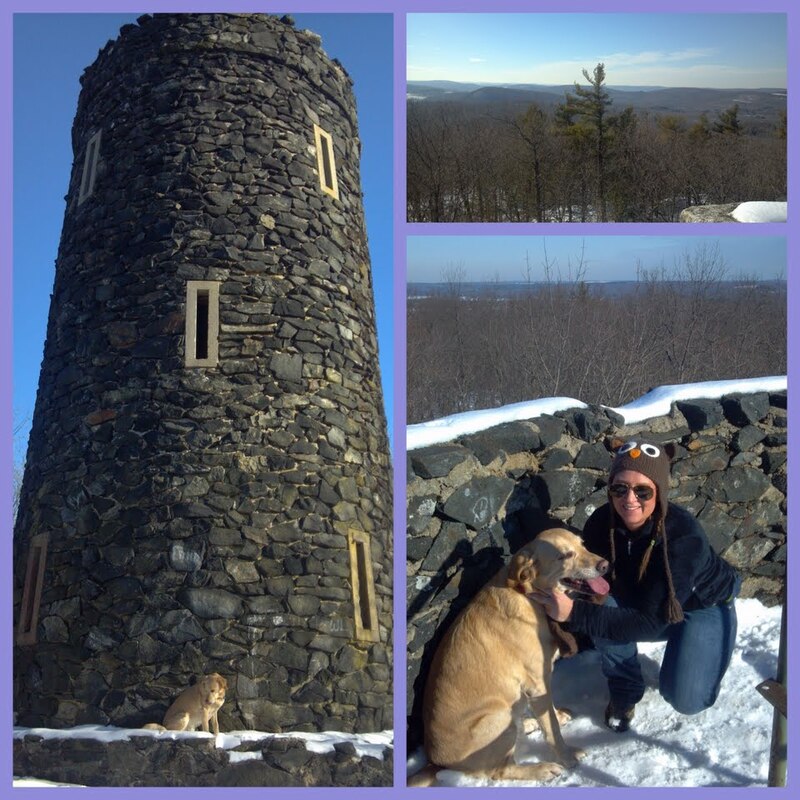 Mount Tom Tower, and Me and Taz at the top with the view! see how steep the stairs are? And also Taz was thirsty after the hike so indulged in some snowballs! 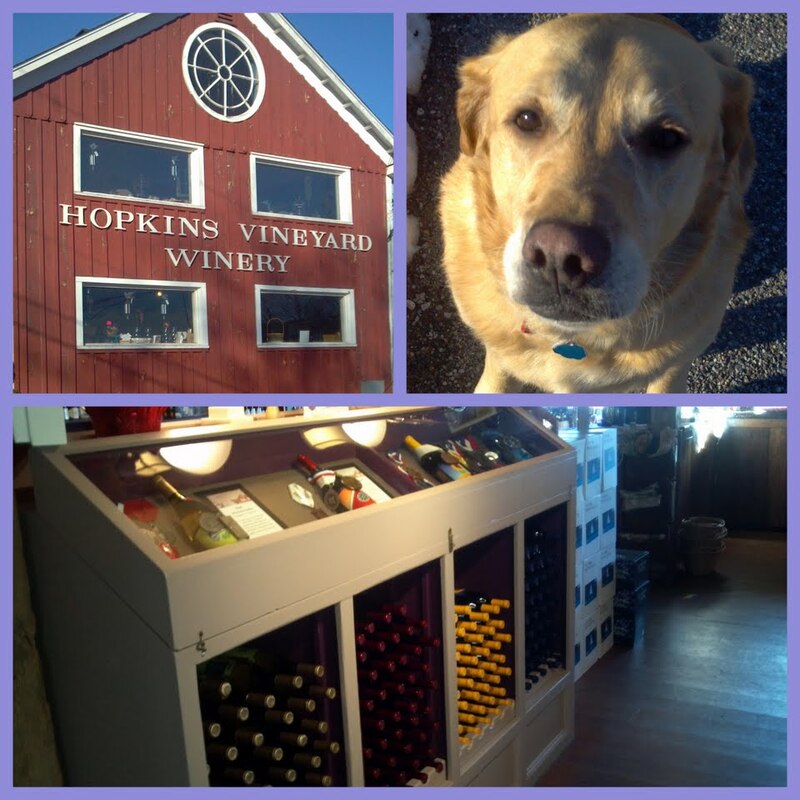 From Mount Tom, our next stop was Hopkins Vineyard Winery. 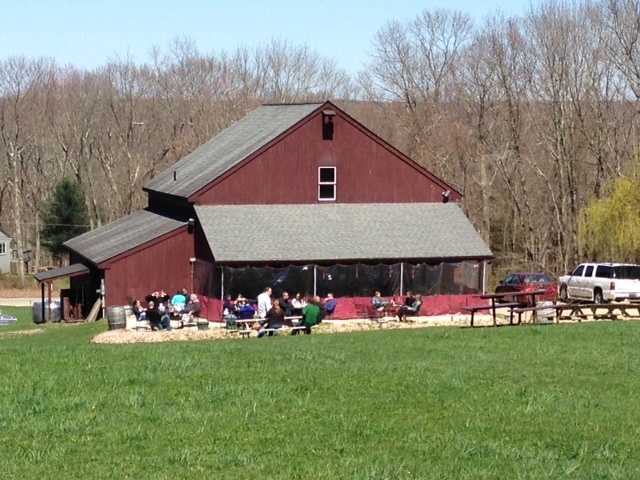 This was a predetermined stop because both this winery and Mount Tom are close to each other, but not near anything else…literally. I figured, while I’m out in the boonies I mineaswell kill two birds with one stone, right? Cost for a tasting: $7.50 for a regular tasting of 7 wines (6 are already chosen, and you get to choose you’re 7th), then for an additional $2.50, you can sample their “ice wine”. (this also includes their signature glass). 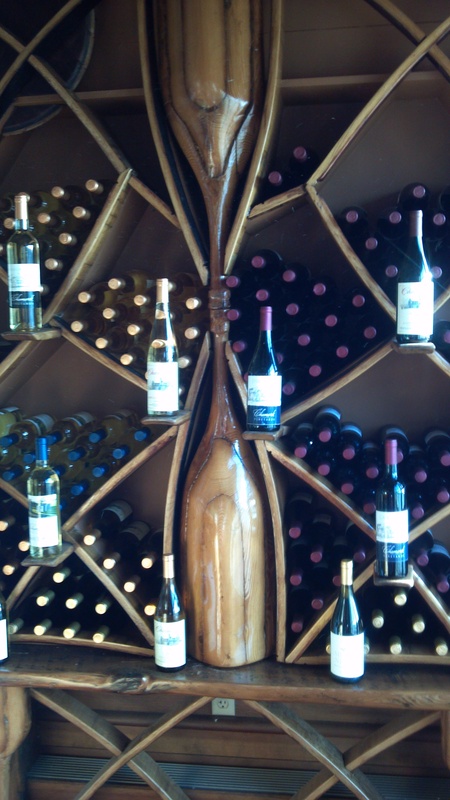 Ranking: 8 (in addition to the tasting room, there is also outdoor seating and an “wine bar” upstairs from the vineyard! Awesome! I really enjoyed this vineyard. 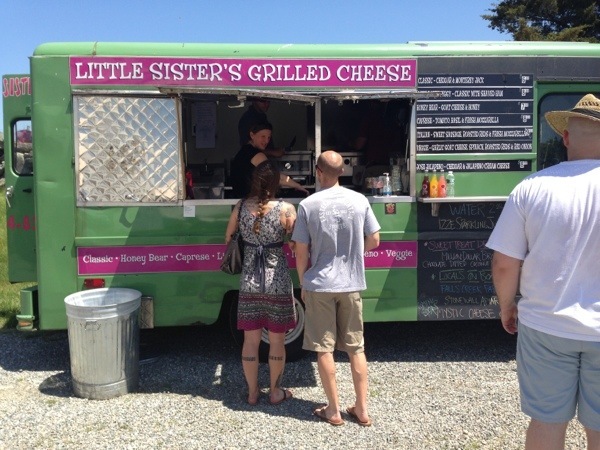 The inside is very nice, and the staff was extremely nice and knowledgable. Most of their wines are “Estate Bottled” which means that the grapes are grown on the premise and the entire wine making process happens there! The one wine that I loved was “Peach Wine”. The wine itself was made from fermented peaches, whereas most wines are made from grapes. I thought this was really interesting…and even more delicious! And, at $13.50, I thought it was only right to buy a bottle for a later date! As far as my tasting, of course I had upgraded to the “ice wine”. I’ve never had it before, and since this specific ice wine has won multiple international medals, including the “Finger Lakes International Wine Competition” (the Finger Lakes area has a HUGE wine country, so this is a big deal), I thought I better cover my bases and try it. My wine connoisseur also had me try a sip of their “Night Owl Dessert Wine”. It was probably because he was bored because no one else was there, but hey, I’ll take it. 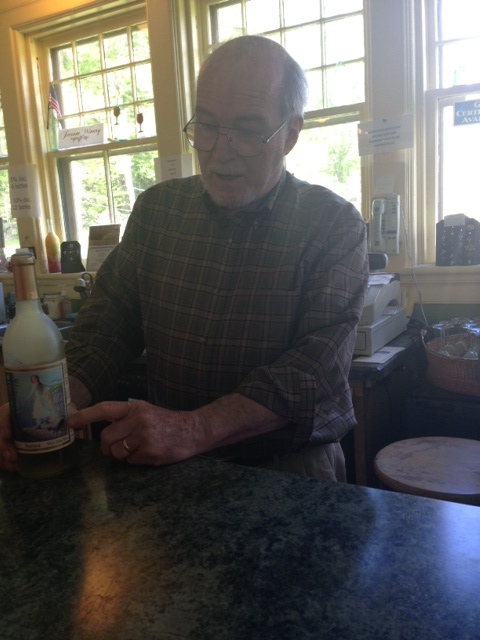 While we were talking, he mentioned to me the Litchfield Hills Winter Wine Trail. Its similar to the Wine Passport Program, but there is only 6 vineyards on it and it has to be completed between December 1 – April 1. Cool, I’m sold on the idea! 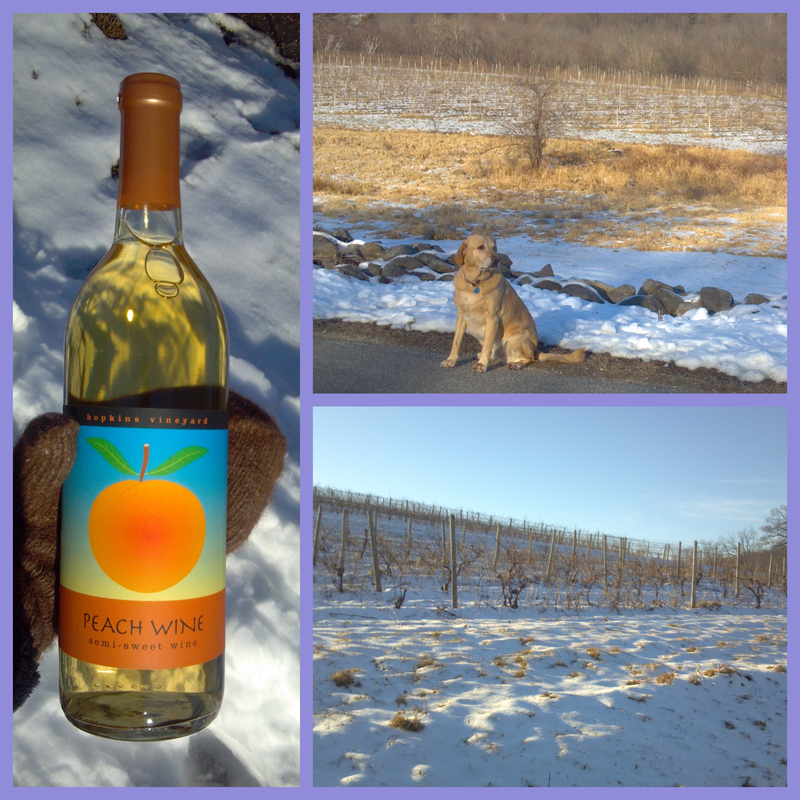 After the tasting, Taz and I took a nice long walk around the vineyard. 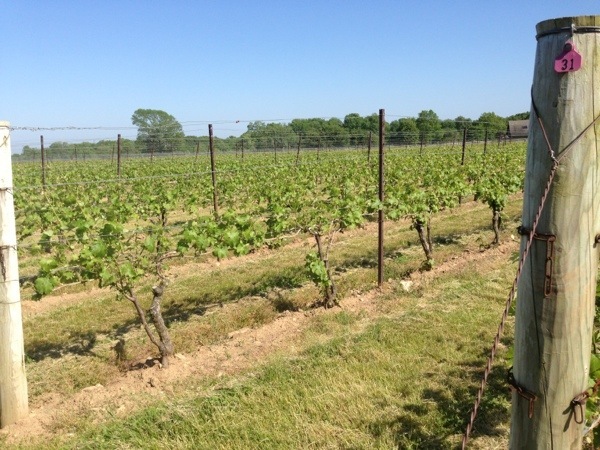 It was a gorgeous day, and the vineyard was beautiful, so we walked around their 38 acres for about and hour and took in the fresh air and magnificent views. 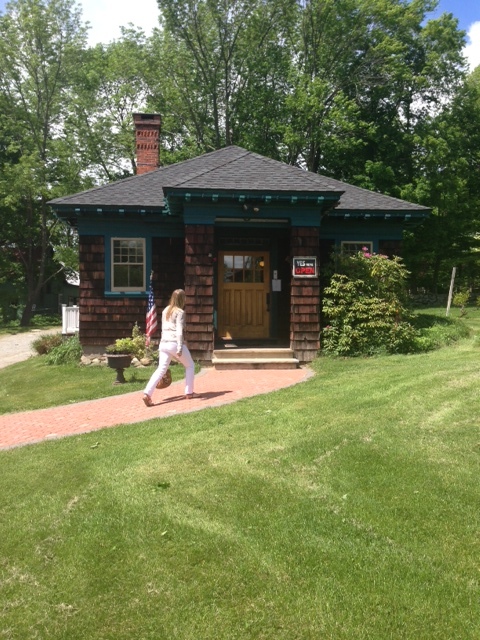 After Hopkins, we were on our way home, when I saw a blue “CT Wine Trail” sign. I thought to myself…I would be stupid NOT to stop. Afterall, it was only about 3:30PM and I had no immediate plans to tend to! So I followed the sign, not knowing where it would take me, and before I knew it I landed at Haight-Brown Vineyard. Cost for a tasting: $9, which includes 9 wines and a signature glass. I walked into the vineyard and was initally turned off. To be honest, I almost walked right back out. It was very pretty insides, but it was so packed you couldn’t even more. In fact, I had to put my name on the waiting list!! Since I was alone, they were able to squeeze me in at the counter pretty quickly, but sheesh! Once the tasting started, my wine connoisseur was telling me about the wines and about the vineyard itself. Haight-Brown, founded in 1976 is actually the first vineyard/winery in Connecticut, and the ONLY one that has stools to sit on while you do the tasting. The reason for this is that they got grandfathered in with the stools. 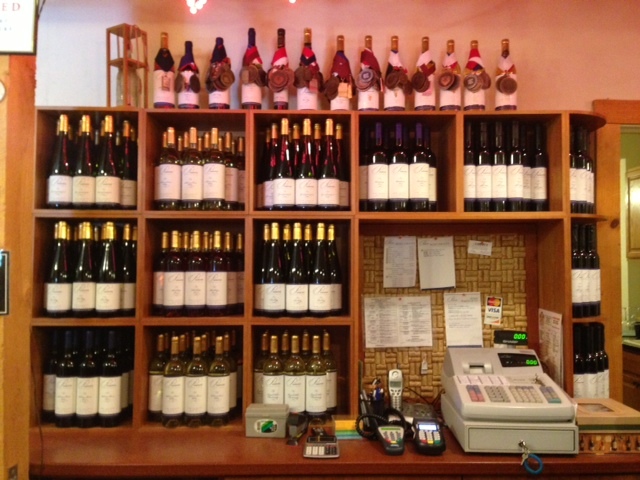 Other wineries cannot have them because it changes the winery from a “wine tasting” to a “bar”…details, details. As I started observing my surroundings, I noticed something that caught my eye, the “Honey Nut Apple” wine. Over the summer one of my best friends went to the vineyard and brought this bottle home and we drank it together as a regular white wine, where it really should be drank in small quantities as a dessert wine…whoops! haha. I enjoyed the wine here, but more than that I enjoyed the people I met! Carol and David, who found this winery the same way I did, were from New York and were probably in their late 50’s. They were super nice and we chatted for about an hour, until I was ready to go. Again after this vineyard, Taz and I took a walk around their beautiful property (which included plenty of outdoor seating for the warmer wether, and enjoyed the last bit of daylight before our trek home. Yesterday my mom, my sister and I went outlet shopping and since we were already in Clinton I thought it would be a great idea to cross off the vineyard in Clinton since it’s on my bucket list and is literally about a stone throw away from the Clinton Crossing Outlets. 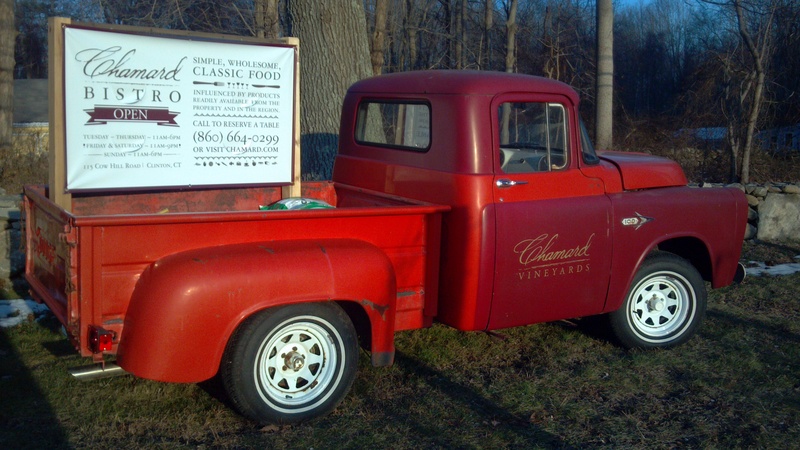 So – down to the reason of this post: Charmard Vineyards. OK, so here’s the deal: usually when you go to a vineyard, it’s $5-7 per tasting and you make an afternoon of it. You do the tasting with a few friends, buy a bottle of wine, and then post up at a table where you can eat all the munchables you brought with, sit, relax and chit chat. This winery, however, is different. Though a few years ago they allowed you to bring in outside food, they no longer do. Now if you’d like to eat you have to purchase food from the vineyard itself. Since this tasting was so expensive you’d think that the wine would be spectacular. It wasn’t horrible, however there wasn’t any that I was willing to pay $22 – $30 a bottle for. The vineyard itself is very pretty, but since it’s winter we only got to enjoy the inside, not the beautiful outdoor property. The inside was cozy with exposed wood, high top tables, a fireplace and cool wall architecture to hold the wine bottles. It would have been a bit nicer if the fire place was actually lit, but even without the inside had a nice cozy feel. Overall, I’m glad that we went (heck, it’s wine, I’m always glad that we went! ), however, I’m also glad that we did it the way we did: On the way home from shopping, rather than making a whole hour trip down there for some very expensive mediocre wine. Check out our pics from the day! 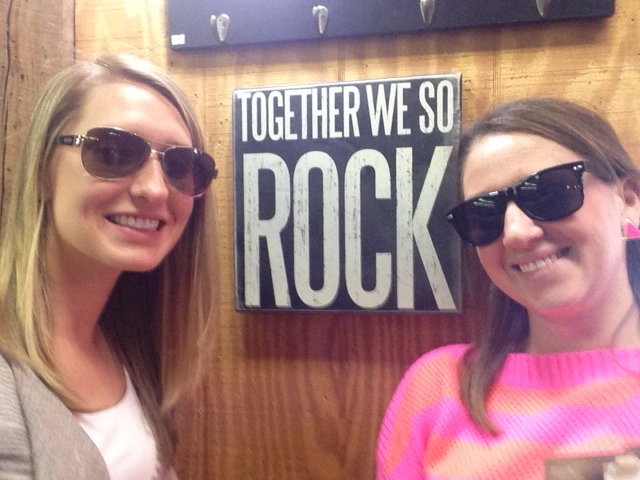 This was the first stop on our Sunday wine tour. This was actually my first time ever going to this specific vineyard and upon arrival I was pleased! You walk in, and the atmosphere is incredible. That is really the only reason I gave them a 5.5. It was very small, which was nice. On one side there was a couple of large tables, and on the other was a few small tables surrounding a cozy wood-burning stove. The tasting itself was very informative! Rich Ruggierio, one of the family members at this family owned and operated vineyard was our wine connoisseur and besides being incredible nice, he was also extremely knowledgeable. We tried 5 wines, 3 whites and 2 reds. Though none of the wines really stuck out to us as amazing, but we ended up getting a bottle of the Washington Trail White Wine anyways and having a glass there while we chatted by the fire. Since this vineyard is so small, I assume the only reason they have such long winter hours is because they wanted to hold the same hours as Gouveia, which is only about a mile away. It was really fun, but we were ready to get out of there and move on to Gouveia, where we knew the wine would be delicious. 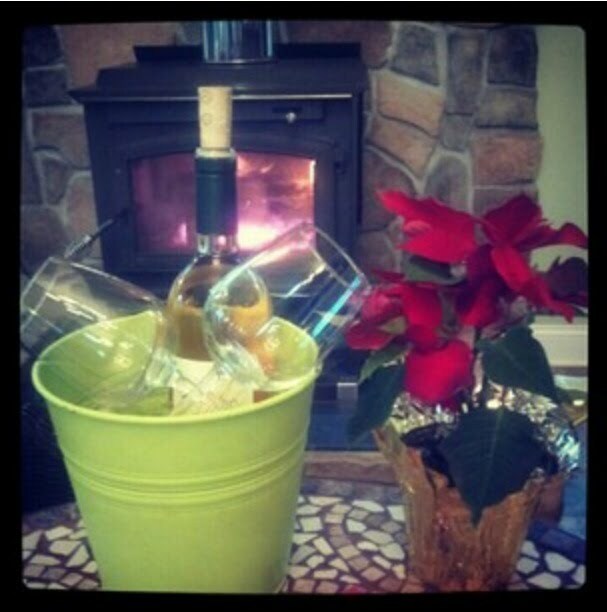 Nothing like some cold wine, and a hot fire!! Hours: YEAR ROUND! Thurs 11-8, Fri 11-9, Sat 11-8, Sun 11-6. 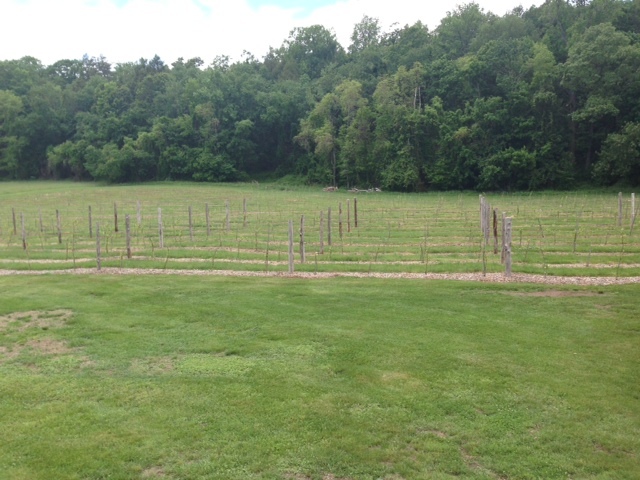 This vineyard is one that people typically enjoy because it’s set atop a huge hill and gives gorgeous views. I have been there twice and the first time I was in LOVE, but that was probably because it was in the middle of summer and I could sit outside and watch the sun set over the horizon. Today, however, since its late December, very cold, not to mention raining, was different. We were cooped up inside. Now, don’t get me wrong, the inside of Gouveia is absolutely gorgeous. There is 30 foot ceilings, a couple of fire places, exposed wood interior, tons of tables, and even some cute games on top of wine barrels. But, I felt that the atmosphere was almost too loud. Because its so big inside, and the tables are so long, many people use it almost as a party spot. To me, wine tasting is a bit more intimate and I personally prefer to go with a small group of people so that we can sit and chat after our tasting. Gouveia had so much going on that it was very loud inside. I did, however, LOVE that there was games! I love games and after about a half hour of begging I was finally able to get my sister to join in on a game of checkers…After I won and she didn’t even jump one of my men, I realized why she didn’t want to play! haha. 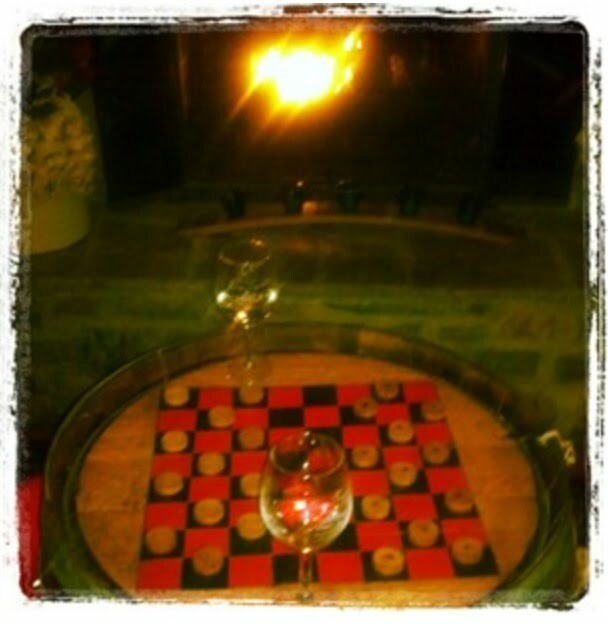 Our awesome checker board next to one of the fire places! The wine at this vineyard was really good. 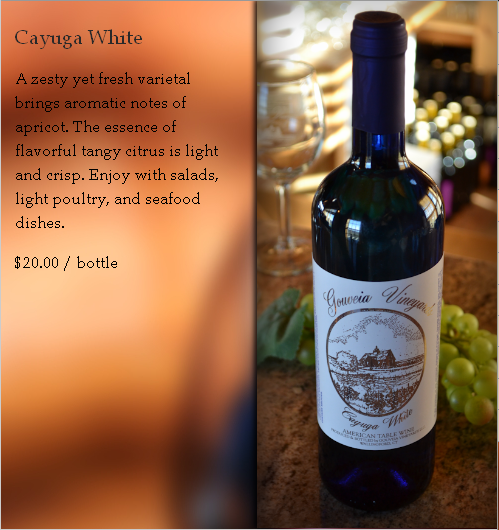 We ended up buying a bottle of the Cayuga White, pic below, and had a glass there before heading home for our private “pizza party” haha. This bottle was totally worth the $20! We had a glass at the vineyard, and then some more later with dinner! YUM! These vineyards are literally 1 mile and 3 streets from each other, so if you aren’t from the immediate area, I definitely recommend knocking them both out in one shot if you’re trying to fill out your passport! 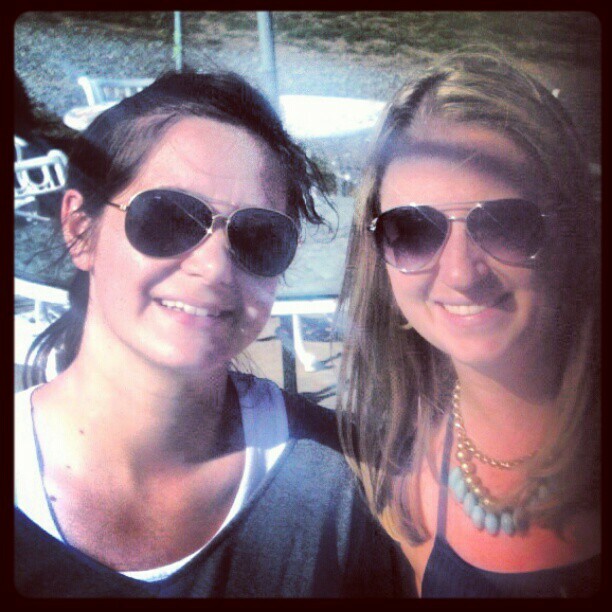 Both vineyards were fun, and now I can honestly say that I have found something that I truly like to do in the summer! Yay! So Liz and I went to Dalice Elizabeth Winery yesterday. 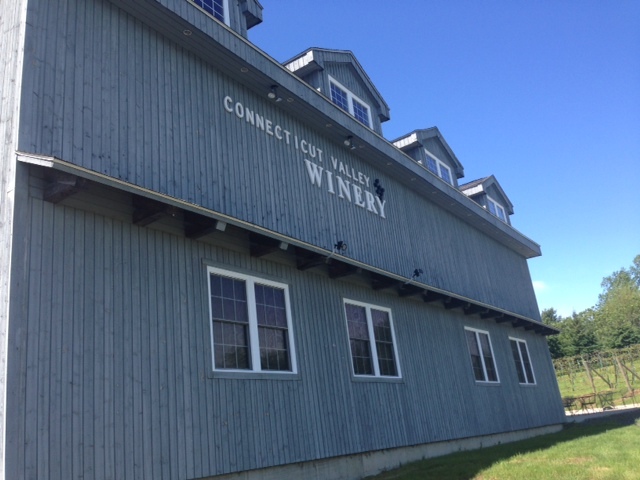 Last year we vowed to complete the Connecticut Wine Trail, however, we were unable to complete it. This year maybe we will. We left for Dalice Elizabeth around 2PM and got there around three. Blaze was our wine connoisseur and he was…interesting. While he seemed more than interested in us when we arrived, despite his “Tips for a Ring” jar on the counter, he was nice…until 5 minutes later when the “bachelorette party arrived. I put “bachelorette” in quotes because not one woman in this party was under the age of 50. I assume it was a second wedding because of the attitude of the party, and personally, soul mate or not, believe that each girl is allotted ONE bachelorette party for a reason. Sorry friends, try to only get married once…or at least only have one bachelorette party for gods sake. Wine is love...it always begins with a crush. Anyways, we were a little taken aback by his disinterest in us and him rushing us through our wine tasting. But whatever we were over it because we purchased a bottle of wine, had lots of food, and it was 75 degrees and sunny. So, we were pumped to sit outside. Then Mary-Lee, founder of the vineyard came outside and sat with us. She told us lot of stories, among which included that Blaze was her deceased daughter’s son who “ran” the vineyard and lived with her and her husband (Blazes’ grandfather). She disclosed to us that Blazes’ mother, who died suddenly at the age of 32, was the inspiration for the vineyard. Her name was Dalice Elizabeth, so while she is has unfortunately passed Mary-Lee said she is happy to be able to say her daughter’s name every day. After talking to Mary-Lee we both felt our trip to this vineyard was valid. Although it was not a big vineyard by any means, the fact that it was completely family owned and operated was awesome. And Ms. May-Lee was a fun woman to talk to. She mentioned that they were adding on a deck for sunday bunch and were having Friday Night Parties for people on the beach that included live bands on their beach…could be fun!!! The one thing I would warn you about is their bottle pricing!!$24/bottle! 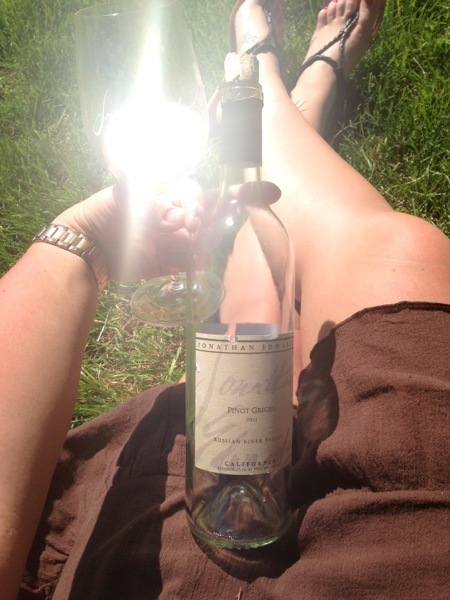 I’ll tell you one thing…that is the most I’ve even spend on a bottle of wine! Half off or not! !